Evan Parker, tenor and soprano saxophone; Peter Jacquemyn, double bass, voice. 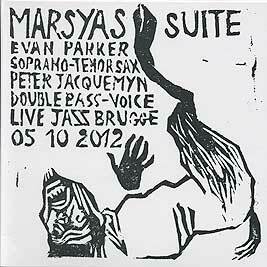 Recorded live at Jazz Brugge on 5 October 2012. Text and linocuts (front cover reproduced above) by Peter Jacquemyn.